Silver Cross dolls prams - mini replicas of the real deal! Silver Cross dolls prams – mini replicas of the real deal! My daughter has been wheeling her bears around on her toy cart for a few weeks now so I think it’s time to get her a little pretend pram. I’m on the hunt for something very cute and I didn’t have to look far. Check out this cute little colourful doll’s pram range from Silver Cross. The prams – part of the company’s Junior Collection – were introduced to the market in red a few years ago, but now there’s a selection of great colours. 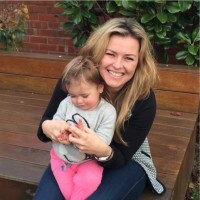 They’re perfect for your little one to play mum or dad and really feel the part. In fact, they are true replicas of the award-winning Silver Cross nursery models. The classic Ranger Doll’s Pram (picture above and top) has a fully adjustable handle and includes a co-ordinating shoulder bag and shopping tray to store all the very important doll accessories. It fits dolls and soft toys up to 50cm and for the benefit of mum and dad, folds flat for easy storage. 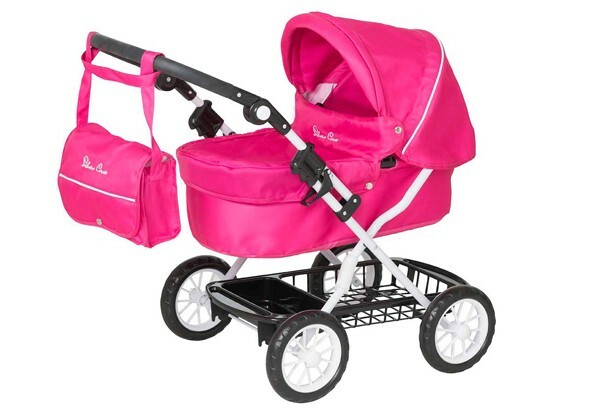 The pram comes in pink, but also in blue and purple so it’s suitable for little boys or for sharing between siblings. With its modern all-terrain style, the X4 Doll’s Pram is for the more adventurous child. 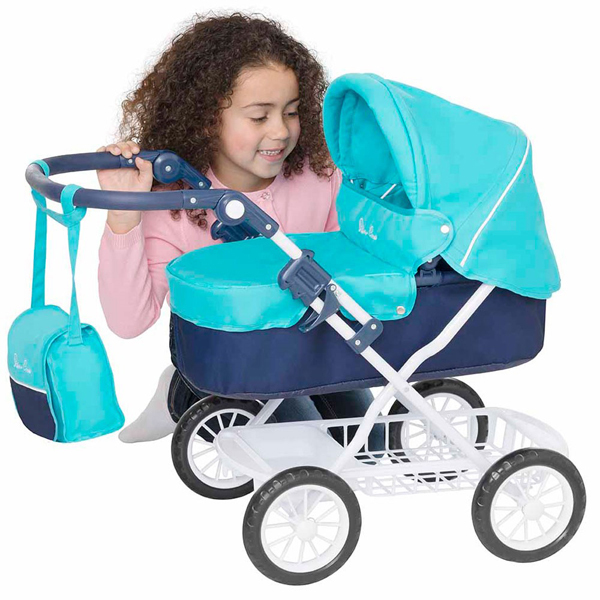 This one folds flat too and has a nifty pair of front swivel wheels so your little pretend parent can copy your movements on even the hardest of surfaces. 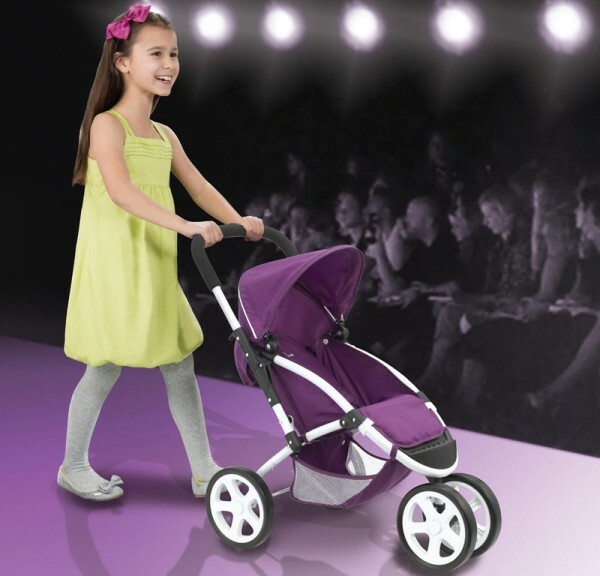 Both styles of pram are $99 and can be purchased online at Silver Cross. While you’re there, do yourself a favour and take a look at the heritage doll prams featured on Babyology back in October 2010.